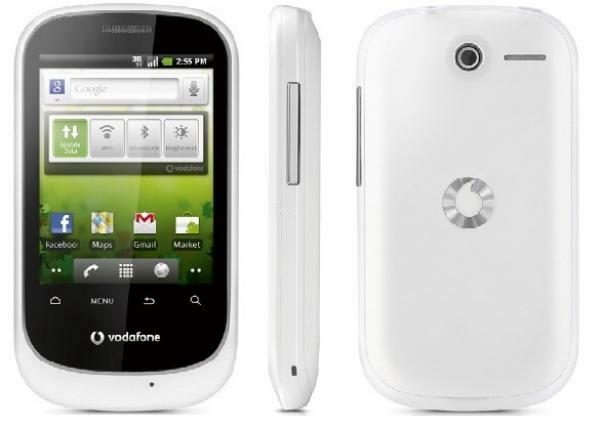 The Vodafone 858 Smart, also known as Huawei U8160, was released by Vodafone in June 2011 to become one of the most craved models of smartphones from this brand. The high quality smartphone is very easy to use and known to work very well. However, as it happens with all smartphones, the functionality of this Vodafone can be disturbed by software issues, such as freezes and errors. In such cases, you may want to renew its operating system by performing a master reset. Restoring this phone to factory settings is a very useful procedure as you definitely already know – it’s a very fast and sure way to solve most software-related problems. On the other hand side, such a procedure will also wipe all the data stored on your Vodafone 858 Smart. This is why we’re not only going to show you how to restore your phone, but also take you through the necessary steps of making a backup. 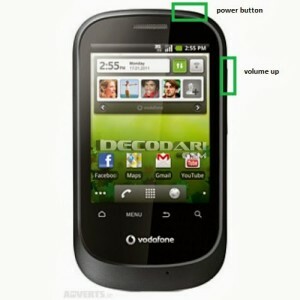 The Huawei U8160 runs on Android OS v2.2 also known as Froyo and comes with a TFT capacitive touchscreen. The phone having a 2 MP camera attached with geo-tagging, is equipped with a Wi-Fi hotspot and Bluetooth v2.1 with A2DP. Coming with 130 MB of internal memory, it has a 528 MHz processor and allows access to a variety of applications such as Google Search, Maps, Google Talk, Organizer, Photo Editor, etc. If you are the proud owner of a Vodafone 858 Smart and would like to perform a hard reset on the phone, you should begin by making a backup of all the data you’d like to save. As mentioned before, when the Huawei U8160 is restored to original settings, all contacts, media content and applications on it will be erased. To avoid losing anything important, it’s recommended to back up the data by connecting your phone to a computer using a USB cable and copying the files into a separate folder. Alternatively, you can also use the Phone Copy application specially designed for devices running on Android. This one will guide you through all the steps so you can save your data. On your Home Screen, go to the Settings folder and choose Privacy. Pick up the Factory Data Reset option and confirm by tapping Reset Phone. Choose Erase Everything to confirm and wait for the procedure to begin. Your phone will now be rebooting; please don’t interrupt the hard reset. Turn your phone off and charge the battery to at least 70%. Press the Volume Up and Power button at the same time then wait for the recovery screen to pop up. From the list choose Wipe Data/Factory Reset using your volume keys and confirm with the Power key. Choose Yes from the list using the volume keys and confirm with the Power button. The phone will begin wiping data and formatting it; wait maximum 5 minutes for the process to be done and don’t interrupt at any given moment. At this point, your phone will have been reset to factory software; all you have to do is restore your data using the backup you made. Also, use the provided methods at your own risk. We do not bear any responsibilities for data loss or harm that your phone may suffer.